William Cody died in Denver while visiting his sister in 1917. 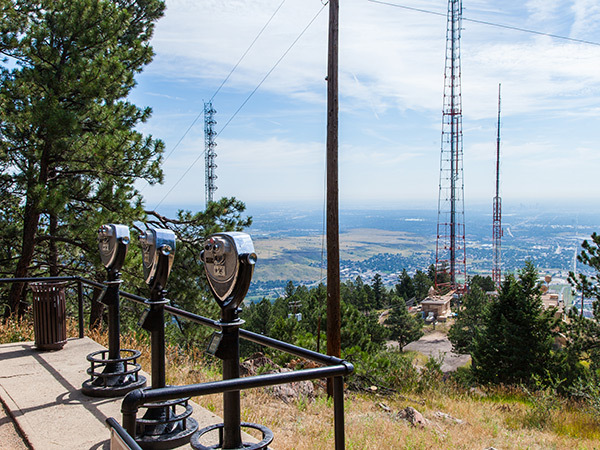 According to his wife, Louisa, he asked to be buried on Lookout Mountain overlooking the Great Plains and the Rocky Mountains. 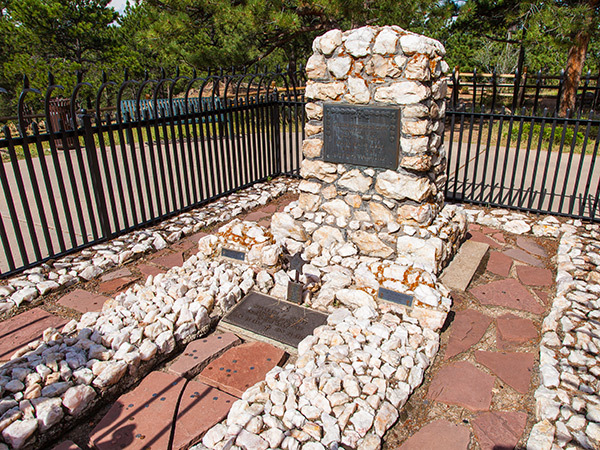 Interred in Lookout Mountain Park, Buffalo Bill’s grave was sited on the edge of the mountain to capitalize on views to the east to the Great Plains. 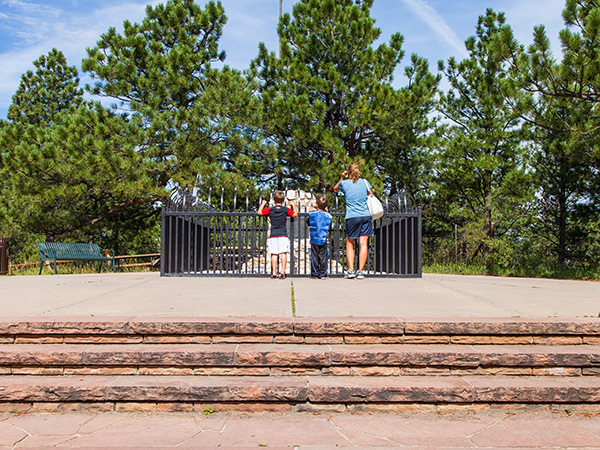 A rough hewn quartz marker encircled by a wrought iron fence covers the full length of the double plot for both Cody and his wife. 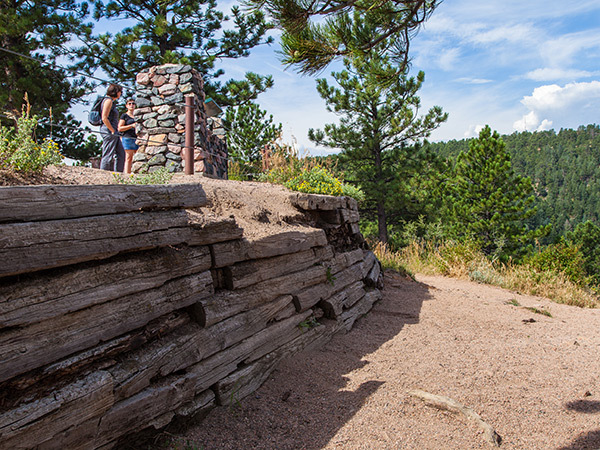 In 1921 the Pahaska Tepee, comprised of twisted branches, tree stumps, and pine shingles, was constructed by the Denver Mountain Parks Commission and Johnny Baker, Cody’s longtime friend, to house artifacts and memorabilia associated with Buffalo Bill. Louis Spallone, the construction foreman, designed the rustic chalet to be reminiscent of frontier American architecture. 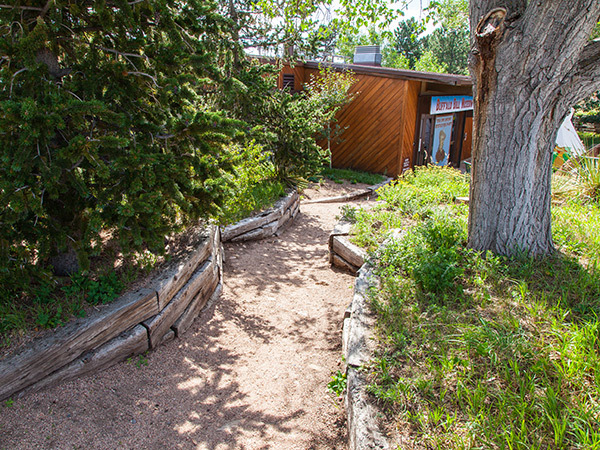 A paved path leads from the Tepee up the short distance to the grave site. Since the 1950’s a number of television towers have been sited on the slope to the east of the grave. In 1979 a new museum and parking lot was built to the north of the Tepee, which was converted into a café and gift shop. 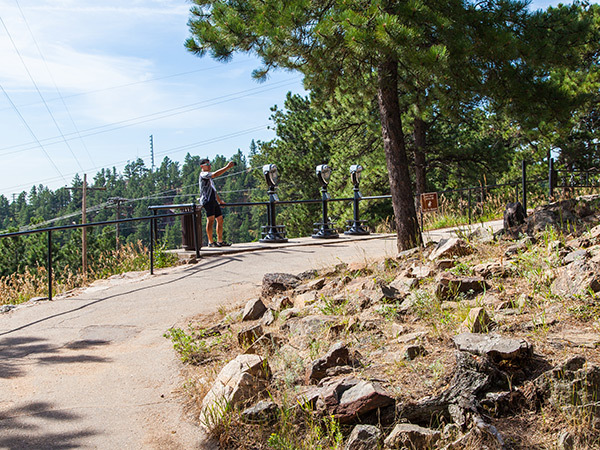 To the east of the museum, a concrete observation deck offers generous views of Golden, Denver, and the Great Plains. 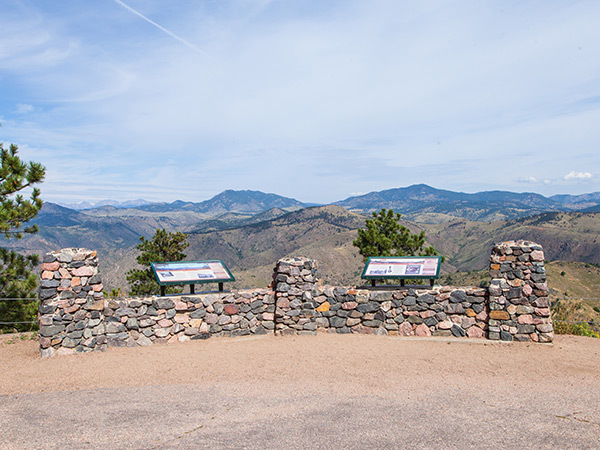 At the northern end of the parking lot, a lookout provides views of the Lariat Loop Scenic Byway and the Rocky Mountains. 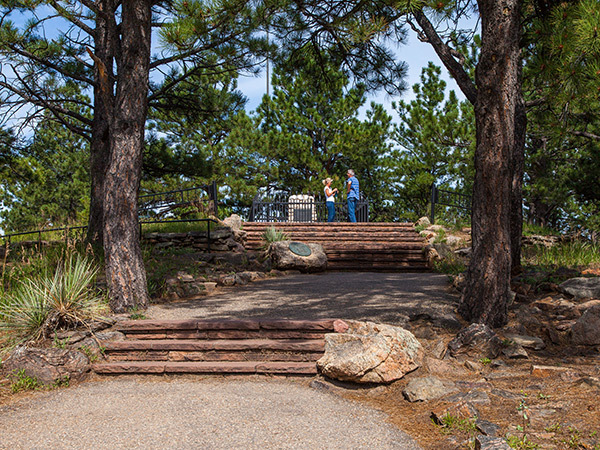 A hiking trail connects the museum and grave to the surrounding 65-acre park. 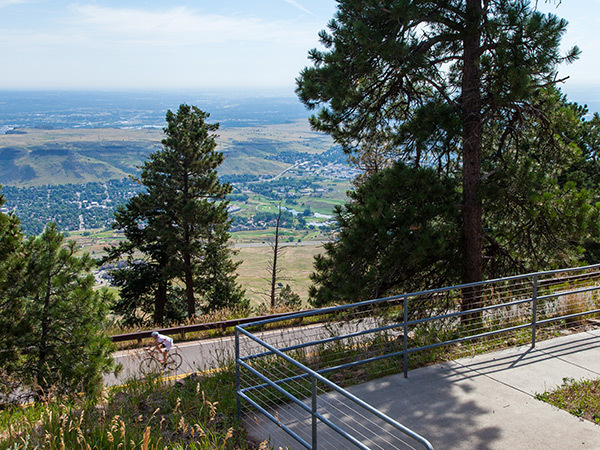 Lookout Mountain Park and Buffalo Bill’s museum and grave were listed on the National Register of Historic Places in 1990.